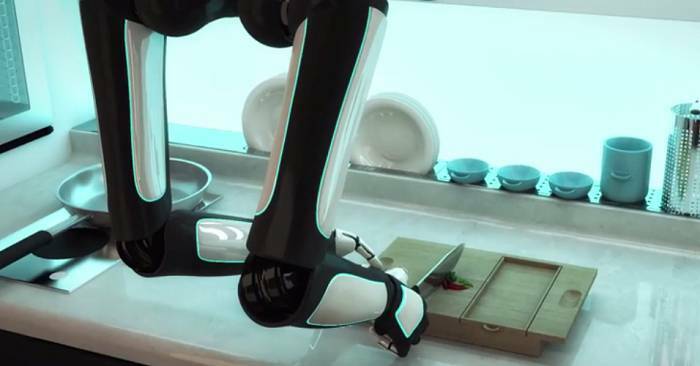 What if you were told that in about two years, you could have a robot chef cooking for you? You would probably imagine a droid-looking machine with a little chef hat on its head. That’s not quite what Moley Robotics, the company who is developing this new technological leap, has accomplished. Moley Robotics has developed a pair of high-tech robotic arms (destined to be built into the appropriate kitchen). By the time they hit the market, the robotic arms will be able to make almost 2,000 world-renowned chef level dishes.The dish that has been demonstrated so far is a Crab Bisque made by Tim Anderson, the 2011 winner of Master Chef. How the automated kitchen system will work is something like this; the user will be able to select a dish from their phone, and the system will begin to prepare it. Most robotic systems use code to determine their actions, but in this particular case, the creators wanted to give the food undeniable high quality, matching the level of skilled human chefs, like Gordon Ramsay, for example. This movement similarity is achieved by using a 3D camera to record a real chef preparing the food and then converting the motions into algorithms to be recreated by the robotic unit. The robotic hands, which are notoriously difficult to create, use 20 motors, 24 joints and 129 sensors to create the same range of movements that a human hand can make. 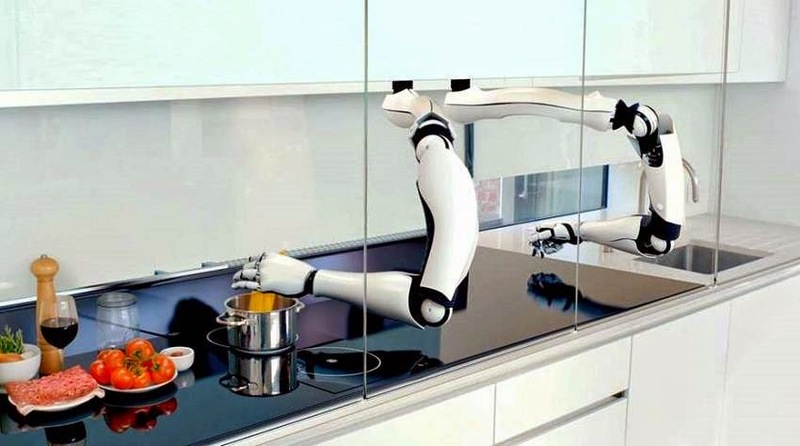 This is not the first robotic system to have been created for culinary purposes, but the creators claim it’s the first ever fully automated kitchen set-up.